Boherna Lodge is a luxurious and spaciously built Bed and Breakfast in the tranquil setting of Holycross. It is a family run business with a very friendly atmosphere with 4 letting rooms. 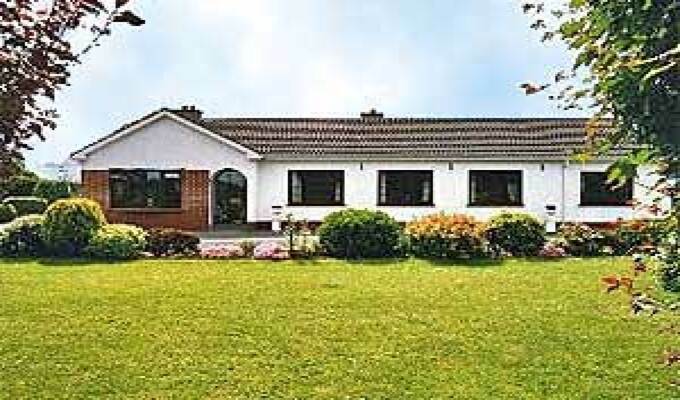 Ideally located in the scenic countryside of Tipperary near the banks of the river Suir. Come relax in our gardens, where in Summer our flowers and hanging baskets are in full bloom, in our tranquil country setting. Fishing/angling 1 mile away at river Suir, one of the finest fly fishing waters in Europe, permits can be purchased nearby. Spacious, relaxing gardens and an ideal base for golf, fishing, cycling and horse riding. 40 min drive from Kilkenny. Only 8 miles from Rock of Cashel and 4 miles from Thurles. Boherna Lodge is situated in the heart of the Countryside nestled on the banks of the Suir. Take Route 661 Tipperary/Dundrum road out of Holycross. 8 miles from Cashel and 4 miles from Thurles.